Schools in India organize various interesting activities for children as a part of Rakhi celebrations in play schools and high schools. Rakhi activity in kindergarten are arranged for little ones. In this post, we have come up with some of the best Raksha Bandhan activities for kids in preschool that make it a memorable festival for your baby. 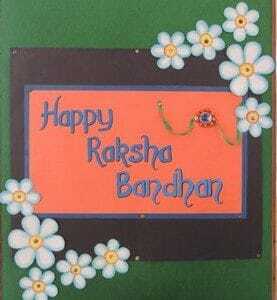 You can have the kids get busy with decorating their classroom for Rakhi. Provide them a few decorative items and help them use their innovative approach to completely transform their classroom into an eventful place for Raksha Bandhan celebrations. They will not only learn basics of decorations but will also develop group skills, interaction skills and have better confidence levels. 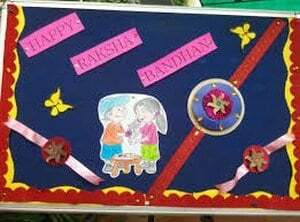 If you cannot give children a complete room to decorate then another interesting Rakhi activity for kindergarten kids is board decoration. They can use their art and craft skills to fill the board creatively around Raksha Bandhan theme. 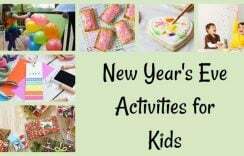 It is again going to be a group task which will keep the little artists engaged in using their creative skills come up with fantastic, festive centric board decorations. 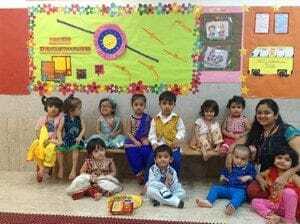 Yet another constructive way to use the imagination and innovation of little children is by giving them the task to decorate the school notice board for Rakhi. Every school designs and decorates the notice board specific to the upcoming events. 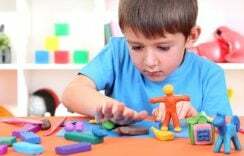 These kinds of Raksha Bandhan activities in school are truly rewarding as they not only get the job done but also help kids explore their creative side and learn new ideas to do that. 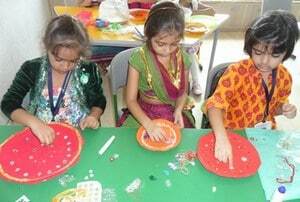 Various preschools organize Rakhi Thali decoration competition. Each and every student is asked to decorate a thali for festive celebrations on Raksha Bandhan. This way children learn what all things are required in a pooja thali for Rakhi and also learn different ways of decorating it. Because it is a competition, each and every kid works hard in order to make the best thali which can win him a prize. Preschools and schools make it a meaningful Rakhi for children by establishing a bond of love between them and the nature. 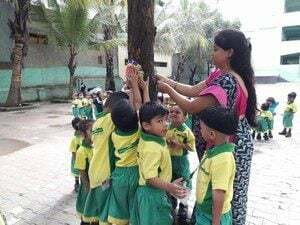 Teach them the importance of trees and nature in our lives and establish a similarity between the brother and the sister bond and that between man and nature to make them responsible humans who take care of their environment and save Mother Nature by being more sensitive and sensible towards it. Sharing is caring. Take students of your playgroup and preschool to an orphanage or old age home and make them distribute essential goodies as a part of Raksha Bandhan activity. Make them understand the importance of sharing and giving so that they can grow up into sensible and caring individuals. Teach them the importance of doing charity and bringing smiles of the faces of those who are less privileged. 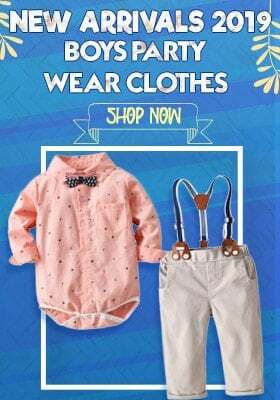 Raksha Bandhan celebration ideas for preschool children also include story telling to kids to introduce them with the mythological background of Rakhi in India. You can also have them make greeting cards for their brothers and sisters with simple DIY techniques. Having them involved in cooking fireless snacks for Rakhi is another interesting way to have preschoolers busy with Raksha Bandhan festivities. Looking for creative and easy ideas that will keep the child busy for this Dussehra holidays .? 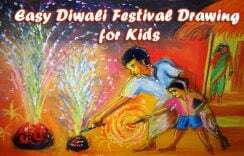 Also Check out these Diwali festival drawing for kids.